Cyanide Studios is working on the sequel to Games Workshop's football bloodbath. 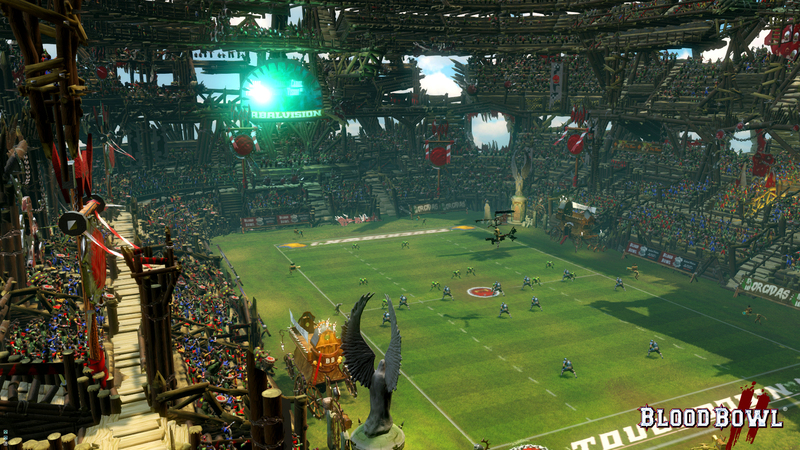 Gaze upon the marvels of Orcish engineering, as Cyanide Studios releases the first glimpse anyone's had of Blood Bowl 2's new stadiums. Games Workshop's football-ish violence simulator is beloved of boardgamers, and Cyanide's hoping its video game sequel will capture some of that magic. How much remains to be seen; there's no confirmed release date, or platforms, for this one yet, though it's a safe bet it will get a PC release. Blood Bowl, for those of you who have yet to be converted to the glory of the sport, pits two teams in a fight for dominance, and there's a ball involved. That's pretty much it. Allegedly you're supposed to get the ball to the other end of the field and score points, but usually such petty concerns are forgotten when the more immediate problem is how to maim the enemy's blitzer, preferably when the Ref isn't looking. Or just bribe the Ref, but bear in mind the other side's probably trying to bribe the little backstabber too. 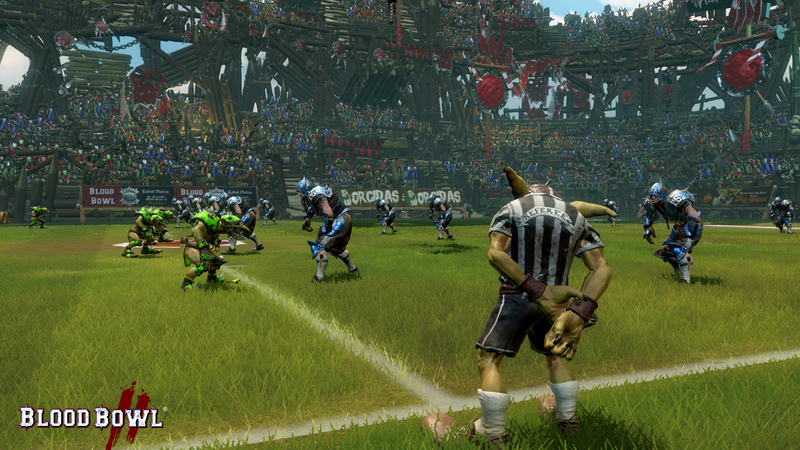 You can't trust a Goblin Ref any further than you can throw him, which is a fact you can put to the test if you have an Ogre on your team. This isn't Cyanide's first visit to the stadium. It created Chaos League, a game whose similarities to the original impressed the Games Workshop folks sufficiently that Games Workshop sued 'em, only to turn around and hire Cyanide to make Blood Bowl games. Cyanide's Blood Bowl featured both turn-based and real-time play, and here's one fan hoping that turn-based will be an option in the sequel. Cyanide's Dungeonbowl, a Games Workshop variant set inside - you guessed it - a dungeon, complete with booby traps, magic, treasure chests, and other happy things, is still available on Steam.